Hi, I am here to present you with the latest news and videos i post on youtube. I am trying to keep up with my schedule to post a weekly videos of my piano playing. I really enjoy playing piano and i would like to share it with you guys. Hope you guys all enjoy! Firework is a song by Katy Perry. It is indeed a powerful song with motivating lyric. Here contrast in style was created by left hand accompaniment with the style imitates that of drums and bass guitar. The different in characters of the accompaniment somewhat reduces the monotone feeling of the piece when played on the piano. This blog is serve as a hub that will provide you with many useful informations about music on my YouTube channel, as well as sheet music, MP3, tips as well as short articles for refreshment. Please support me by purchasing my original composition sheet music as well as the MP3s. If you would like to ask me questions just leave a comment or send me a message through the contact form. Thank you. 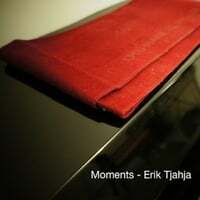 Erik Tjahja has a Bachelor of Music degree from The University of Melbourne, Australia, and also a Master of Education (Music) from National Institute of Education/ Nanyang Technological University, Singapore. Find us on Google+ to connect with him and receive the latest update on this blog.